Born: 21 December 1773, Montrose, Scotland, United Kingdom. Died: 10 June 1858, London, United Kingdom. Robert Brown studied philosophy and then mathematics at Marischal College, Aberdeen, but did not complete a degree. From 1790 he studied medicine and attended classes in natural history at the University of Edinburgh, where he developed an interest in botany and started a herbarium of Scottish plants. He discontinued his medical studies in 1793. In 1795 he went to Ireland as assistant surgeon in the Fifeshire Regiment of Fencible Infantry, while continuing his self-education in natural history. In 1801 Sir Joseph Banks* offered him the post of naturalist aboard H.M.S. Investigator, sailing under Captain Matthew Flinders to survey the coasts of Australia and Tasmania. He was assisted by Ferdinand F. Bauer* as natural history painter, and Peter Good, a gardener from Kew Gardens. Leaving England in July 1801, they arrived in Simon's Bay on 17 October. For the next 17 days Brown and Bauer collected plants all over the Cape Peninsula, including Table Mountain. Even though the peninsula had been fairly well-explored botanically since the middle of the seventeenth century, Brown succeeded in discovering two new species of Serruria. He described and named them in a famous paper, "On the Proteacea of Jussieu", which was published in the Transactions of the Linnean Society (Vol. 10, pp. 15-226) in 1810. In this classic work he recognised 10 South African genera, with 181 species. They sailed for Australia from Simon's Town on 3 November 1801. On their way out of False Bay, Brown observed and described, perhaps for the first time, an occurrence of "red water" (a plankton bloom). He examined a water sample, finding that the reddish colour was caused by microscopic organisms. Brown returned to Britain in October 1805 with nearly 4000 species of plants, many new to science. He served as librarian to the Linnaen society from 1805 to 1820, and as librarian to Sir Joseph Banks from 1810 to the latter's death in 1820. Banks' books and collections were transferred to the British Museum (Natural History) in 1827, and at that time Brown was appointed as the first keeper of its Botany Department, a post he occupied for thirty years. His herbarium was acquired by the British Museum in 1876. In 1810 he published the first volume of his Prodromus Florae Novae Hollandiae et insulae Van-Diemen exhibens characteres plantarum quas annis 1802-1805..., his main botanical work, dealing with the botany of Australia and Tasmania. This was followed in 1814 by a two volume work, A voyage to Terra Australia. His other publications included descriptions of collections of plants from various parts of the world and papers on the Asclepiadeae (1809), Compositae (1818), plant systematics, plant anatomy, and descriptions of new species. Some of his papers were based on detailed microscopic observations of the organs of fertilisation of various plant species. His microscopic study of the apparantly spontaneous movements of minute organic particles in 1828 was later recognised to be significant and named Brownian motion. He used mainly simple (i.e., single lens) microscopes and trained Charles Darwin* in microscopy. As an eminent scientist he was honoured by many European scientific societies, was elected a Fellow of the Royal Society of London in 1811, and a Fellow of the Linnean Society in 1822. 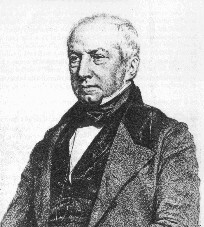 From 1849 to 1853 he served as president of the latter society. Gunn, M. & Codd, L.E. The botanical exploration of southern Africa. Cape Town: Balkema, 1981. Phillips, E.P. A note on the principal systematic work and publications dealing with the South African Proteacea. Transactions of the Royal Society of South Africa, 1911, Vol. 2, pp. 275-282. Rourke, J.P. Robert Brown at the Cape of Good Hope. Journal of South African Botany, 1974, Vol. 40(1), pp. 47-60.